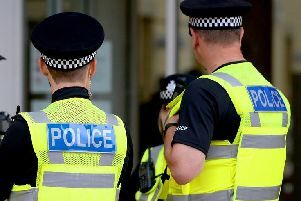 Lincolnshire Police are reminding people to remain alert and vigilant in relation to potential telephone scammers after a recent attempt in Lincoln. An incident was reported to police on Friday, January 16, whereby an elderly lady in Lincoln had been called on her home phone by someone purporting to be from a telecoms company. They told her she owed them money and they needed access to her computer, which was later followed up by another call saying hackers had gone on her machine and they needed £2,000 to sort the problem out. The lady had given her card details over the phone but thought better of it and contacted her bank who blocked all payments before any money was withdrawn. Inspector Judith Kent said: “This is another example of how scammers will try to defraud people by coming up with brazen lies to get money. “Thankfully, the lady involved in this incident realised something was not right before any money was taken from her. “This is a timely opportunity to remind people that a legitimate business will never call you over the phone and ask you to give over any personal or sensitive details relating to your finances.